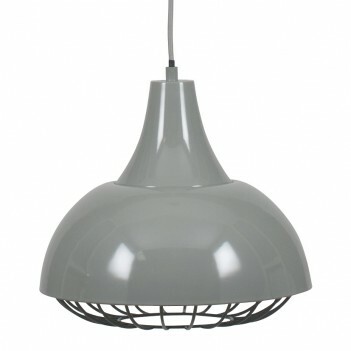 This is an industrial style grey cage pendant. The inside is painted white. The grey cotton cord is adjustable and the ceiling rose is painted grey to match the dome of the pendant. The manufacturer recommends 8w energy saving bulbs, and its is the large screw size (GLS).